Retail point of sale tools that are powerful but user-friendly. Sales associates can be up and running in hours versus days. Reduce training time, IT costs, and headaches. 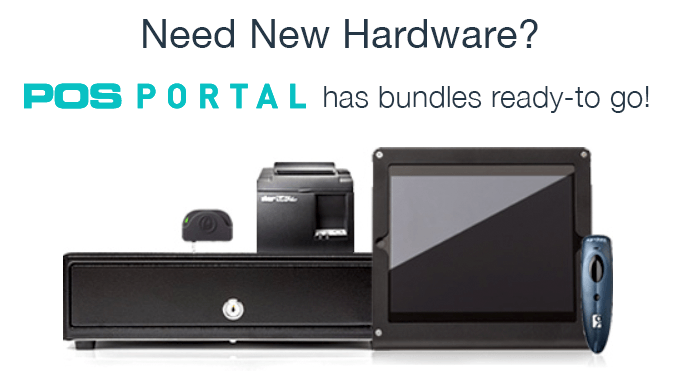 Springboard's POS sales tools make it easy to serve customers quickly and efficiently. A mobile solution accessible anytime, anywhere. Our cloud based POS software's real-time sync offers the ability to make data-driven decisions on the fly. Choose intuitive cloud POS software built specifically for retail. Even employees with little technical skills or retail experience can be trained in minutes. Gain a competitive edge. Built for multi-store retailers, our robust tools boost productivity and help brands and retailers sell more, profitably. Use existing hardware, or choose one of many options— Mac, PC, or tablet, Springboard's cloud based point of sale software works with any web-enabled device. Every transaction counts. Springboard makes it easy to close the sale. Springboard's cloud retail POS software has all the intuitive features you need in a point of sale; quick item look up, easy customer creation, split payments, sales tax calculation/collection, email receipts and painless returns. But as your retail business grows, you need more. Comprehensive sales tools like sales rep tracking, multi-store inventory look-up, robust promotion and coupon builders, seamless order management, retail metric dashboards, and much more! "The POS is easy-to-use and requires very little training to be up and running efficiently." 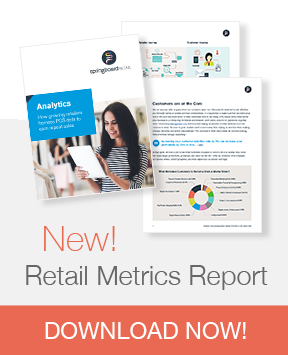 Springboard Retail's point of sale management tools are easy-to-use but have the depth that multi-store brands and retailers need to compete in today's retail climate. See a complete list of our POS and retail management features. Empower your sales team at checkout with CRM tools that make it easy to gather data that's relevant to your retail business. 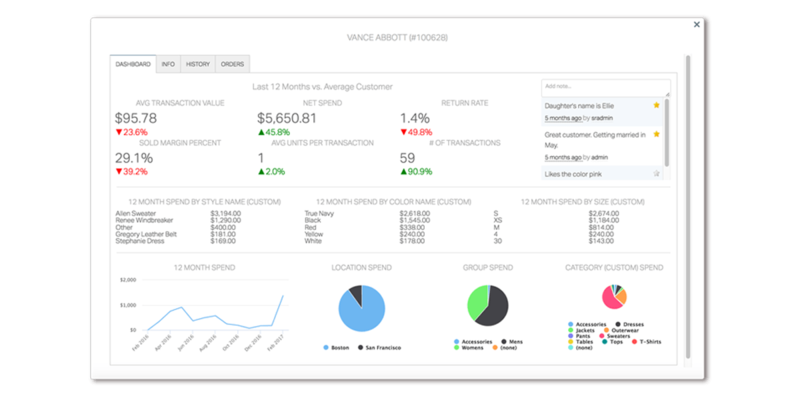 View a customer's sales history, see orders across channels and create unlimited fields to track and report on the data you collect. Save the sale! See your inventory across all channels and empower your sales team to sell merchandise from any channel knowing they'll get credit for the sale. Discounts, promotions and coupons are a way of life in retail, and we make them quick and easy to manage. 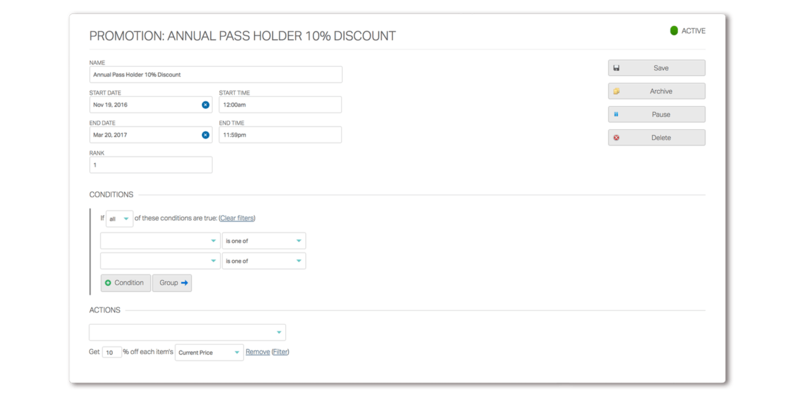 Our flexible features allow you to create tactical promotions around specific parameters — and report on them too! Life in retail is complex and hectic, we help simplify it! 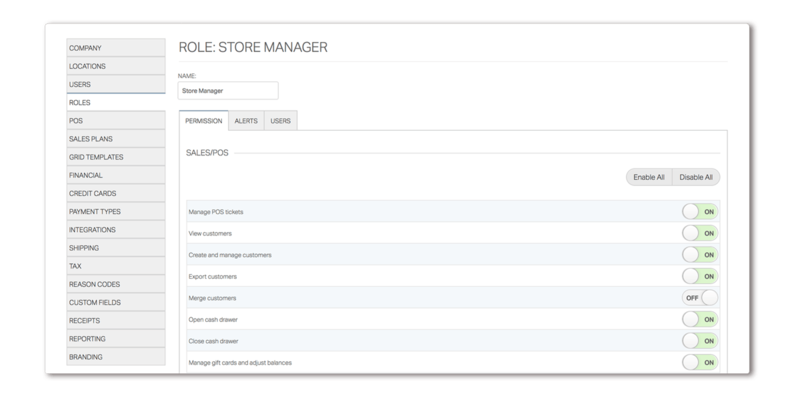 Our intuitive POS features make managing your store easier.